Bernardo Faria on the half guard: "Always insist and believe in the position that you are using"
Nice little interview from about Bernardo Faria’s Seminar tour of the World. Bernardo is famous for being a grinder and stubbornly insisting on his techniques. Here he gives us an insight on his game, especially in the half guard. Be sure to check Bernardo Faria’s interview for BJJ Eastern Europe and the Faria Sweep and guard pass demonstrated by Tudor Mihaita of Romania! Could you comment on this series of seminars and what you have learned from them? 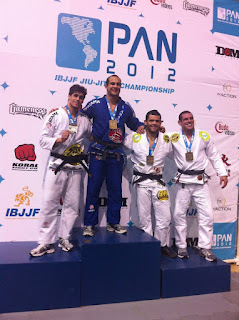 I just arrived in Brazil, on Wednesday, and early in August I’m going to Europe for another season of seminars. I have a very full agenda and happy with this phase of career. Now, for example, I have toured in Idaho, Michigan e Minessota, and spent my vacations in Las Vegas. The coolest about it is being able to work with what I love the most, and to share everything I’ve learned with the students. Besides the classes, what did you enjoy the most in tour? I was able to really relax, in many places go the students get a vacation so they can train with me and enjoy with me while I’m there. So they always take me to meet the city and have fun. I think this is one of the biggest advantages of Jiu-Jitsu, we have the opportunity to make many friends and meet a lot of people, and it is priceless. That’s what Jiu-Jitsu is all about. Have you learned something new for your Jiu-Jitsu? I always do. I learn a lot on the mat, and students always show up with a new position or detail. And I learn a lot outside the mats too, because I am able to meet several gyms and to see how they work and it helps me to have a better idea about gym organization. Soon I plan to open one of my own. So having this experience will be very important for my future, I’m sure. I’ll stay in Brazil for about 20 days. I’m spending two weeks with my parents in Minas Gerais, practicing with my ex-professor Ricardo Marques. Then I go back to Sao Paulo, to have a course on gym management with Fabio Gurgel and then I travel to Europe, for a season of seminars in Germany, Poland e Finland. 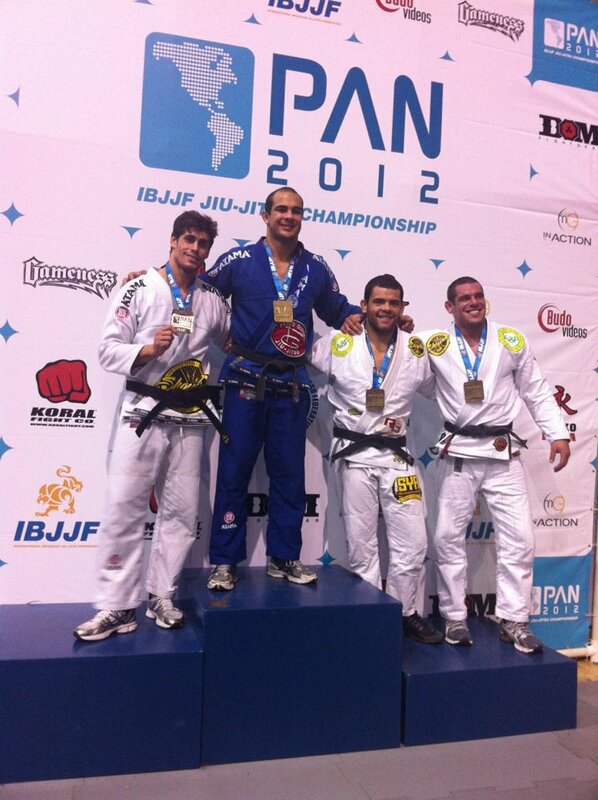 I will also compete at the new IBJJF European No-Gi Jiu-Jitsu Championship in England. These coming months will be about a lot of work and training, pretty cool. Also, whoever interested in seminars, send an email to [email protected] . Do you have a hint for our readers about half-guard, your specialty? 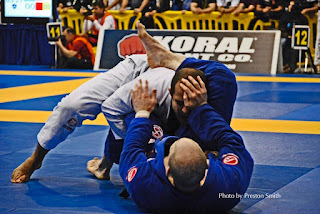 I love being in half-guard, my comfortable position when I’m below. When you are in half-guard avoid letting your opponent hold your head, but in case he does, don’t get desperate. Even so, you still have several options of sweeping. Another tip is to always insist and believe in the position you are using, because believing is the first step is believed to accomplish the position. And to insist, it is necessary to trust, and train tirelessly in the gym.